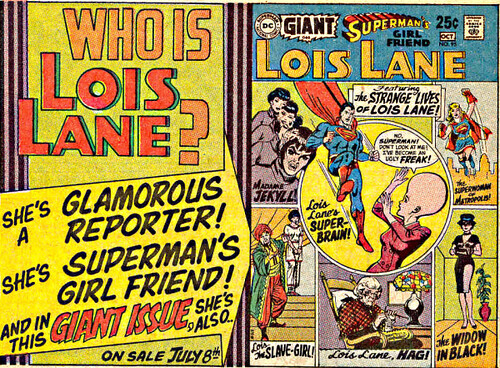 Giant-Size Geek: Who is Lois Lane? She's a Super Freak! Who is Lois Lane? She's a Super Freak! Who is Lois Lane? Another question posed by DC Comics' marketing department in 1969, the same vein as the Jimmy Olsen Giant. She's a reporter! She's Superman's girl friend! But she's also a Slave Girl, Madame Jekyll, a Widow in Black and a SuperWoman. 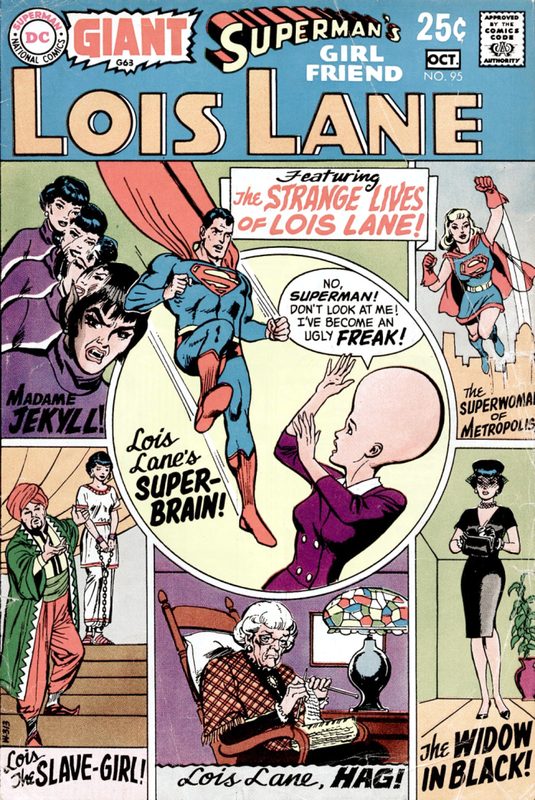 Or if she gets too smart and her brain expands, Lois is a Super-Freak--a decade before Rick James! My favorite one is Lois Lane...HAG! The silver age Lois Lane dated Superman, kissed Superman, but it seemed like she would never reach her goal of marrying him. Lois' greatest fear was to end up old and alone with her knitting needles. Gloria Steinem would hate this cover. Nuff said.